These past few days have been incredibly busy but at the same time so. much. fun. I came back up to my hometown (Richmond, VA!) on Friday to celebrate with one of my best friends and her high school sweetheart as they finally tied the knot! I loved getting to spend time with some old and dear friends and see the couple so happy as they finally became husband and wife! If you follow me on Instagram, you've seen plenty of snapshots from their special day! 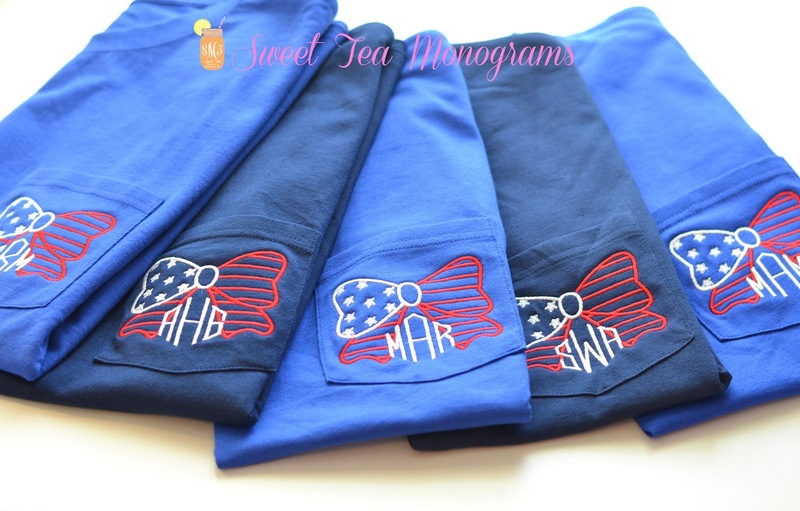 Now it is almost July and all of the Sweet Tea Monograms Patriotic Bow shirts have been shipped out and should all have arrived at their homes by today (fingers crossed no post office delays!) but luckily the Independence Day celebrations have only just begun! And what better way to celebrate than with a discount code for the Sweet Tea Monograms shop! Today through Friday July 4th, use code FIREWORKS for 10% off your order! 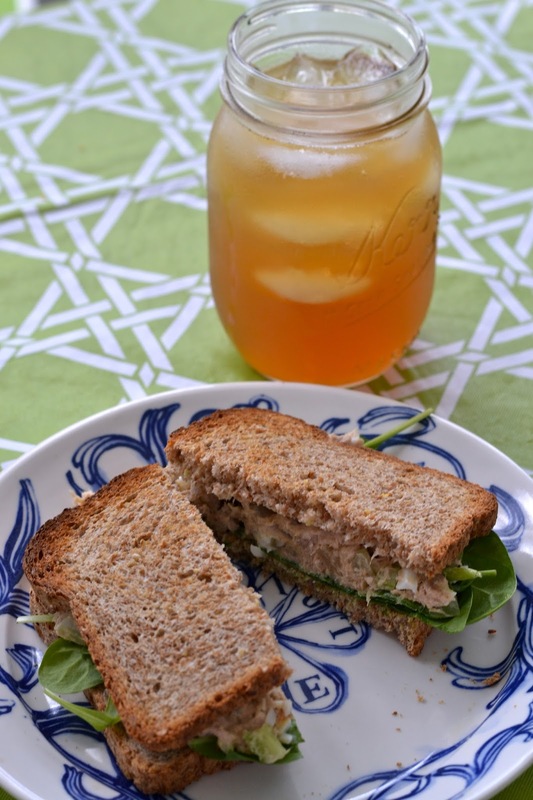 Tuna salad sandwiches were always one of my favorite lunches in the summertime when I was a kid. 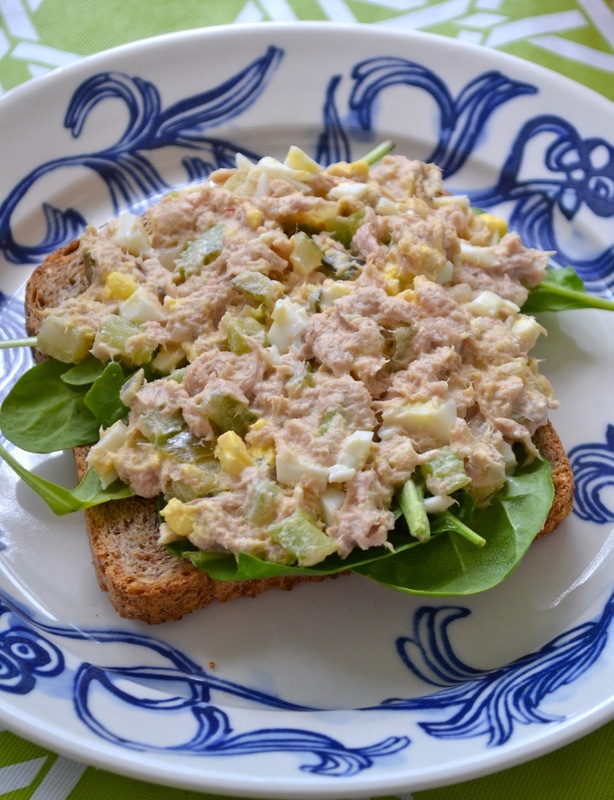 I was trying to clean out my pantry this week and found two cans of tuna as well as some mayo and celery in the fridge so I decided to make some for nostalgia's sake. As I was gathering ingredients, I saw a jar of Wickles pickles in my fridge and thought these would make a great addition to the salad! 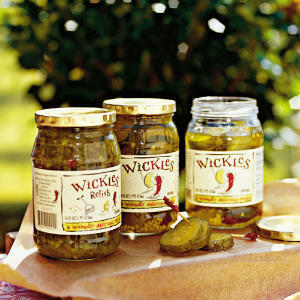 Robbie and I love both regular pickles and pickled okra (we each always have a jar in our respective refrigerators) and our Wickles are some of our favorite. They are a little sweeter and spicier than other brands and they gave the tuna salad just the kick it needed! Mix ingredients with a fork, refrigerate and enjoy! I always love to try and step out of my comfort zone every now and then and try something a little different. This blue and white peasant top is definitely a little more "boho" than what I normally wear but it reminded me so much of something my mom would have rocked back when in the 70's! Am I right Mom?! ;) This is a perfect breezy top to throw on with my new favorite staple, these white denim shorts for a hot and humid day. 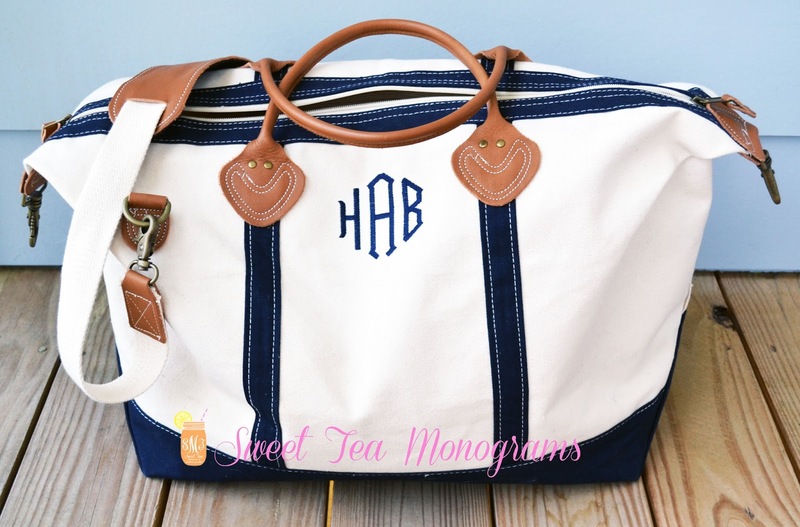 I'm so excited to introduce these monogrammed canvas weekender bags to the Sweet Tea Monograms shop! I have been living out of this bag for the last 8 weekends and because I love it so much, I wanted to include it with the other totes in my shop and am hoping my customers will love it too! The long strap is great and has a padded part for when I want to throw it over my shoulder, which is always convenient because I'm usually not the lightest packer (I'm sure many of you can relate!) It also comes with leather handles which are nice and sturdy, as well as a small inside zip pocket which is great for packing little odds and ends. I personally love my weekender bag and highly recommend them to others who are often taking getaways and want a classic, personalized bag for their adventures! As a follow-up from yesterday's post about how to have a "Sun Safe Summer" I'm back to share some of my sun free secrets, and how I create my own summer "tan"! Like I mentioned yesterday, my mother had her second melanoma removed earlier this spring. Though she grew up at the beach, ever since she had her first melanoma removed about 10 years ago she has been so careful about staying out of the sun, wearing tons of sunscreen, and always has on protective layers and hats. I couldn't believe that someone that is so careful about her sun exposure could have yet another melanoma! I think this is when it all came to the realization that it easily could have been me getting the news from the dermatologist back in the spring. I've really started to try and change my ways this year and have invested in lots of sunscreen (see yesterday's post), all kinds of self tanners and bronzers, and just recently- cute sun protective clothing! I first heard about Cabana Life clothing from Sarah Tucker's blog and I think their rash guards are some of the cutest ones out there! For Mother's Day this year, I ordered this turquoise tunic pictured above for my mom from Coolibar! We've always gotten their catalogs and while I was home in Richmond a few weeks ago I was browsing through and saw quite a few cute things that are actually wearable! Last but certainly not least, Mott 50 is another brand I first saw mentioned on Sarah Tucker's blog and on others around the blogosphere! I ordered one of the navy and white striped Teresa dress for myself (because one can never have enough navy and white) and am really loving it! It's nice, lightweight, stretchy material, and has built in UPF 50 - a win-win in my book! Many of y'all also know that if I'm out on the water or at the beach, I'm usually sporting one of my Sweet Tea Monograms PFG shirts! These shirts all have UPF 30 so it's another great way to stay safe and look cute out in the sun! Hope y'all have enjoyed my sun safe series, and please let me know if you have any questions about any of the products I've mentioned! I've tested and tried lots until I have found ones I love. I also hope I'm not coming off as too much of a Debbie Downer, but I wanted to share this post so y'all know there are ways to enjoy the sun (and look like you enjoy getting a tan) without harming your skin! Now go get your (fake) tan on this weekend! I've been wanting to write this post for so long and since it's now almost officially summer what better time than now!? If you've ever been out on the beach or boat with me, you know I'm always prepared with sunscreen- and not just for me, I make sure everyone I'm with has some too! I promise have a pretty good reason for being so crazy about my sunscreen though... I have basically every one of the risk factors for developing skin cancer- everything from my fair skin, the 15+ moles that have been removed, the terrible sunburns I got at the pool in my teenage years, and my family history of melanomas. When my mother had her second melanoma removed this summer, I was reminded how crucial it is to protect your skin from the sun. Unfortunately, all of the damage we do to our skin when we're younger is irreversible (how I wish I could tell my teenage self to wear sunscreen on spring break and not baby oil!!) and there is no way we can go back and change anything. 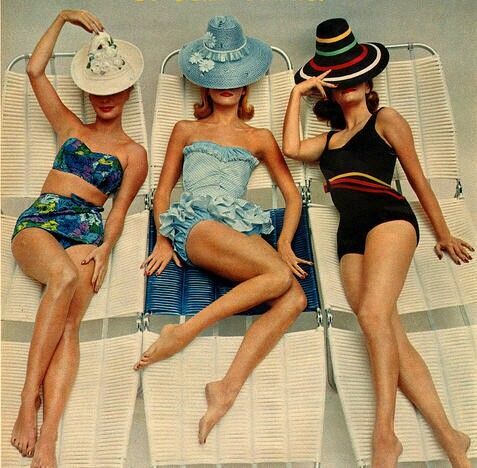 I've finally learned that, as much as I would absolutely love love love to sit and bake, I just can't be one of those girls that can lay out at the beach or pool all day. Well, not unless I'm lathered in sunscreen, wearing some layers, a hat, or under some shade! Since I'm now a self proclaimed sunscreen queen, I've found some great ones that I love enough to use every single day (and multiple times a day if I'm going to be outside!) and I wanted to share these with you all so you too, can be sunscreen queens (or kings if any guys are reading this!) too! Earlier this year, I received a small sample of Coola mineral matte face sunscreen in my Birchbox and decided to explore more from this brand. 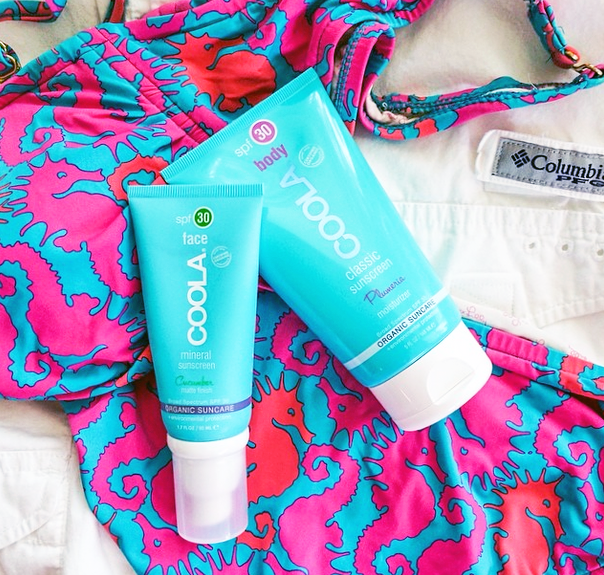 My Coola body & face sunscreen are two of my favorites now! The Coola Plumeria SPF30 Body Lotion smells amazing and feels like regular body lotion instead of that sticky, gross sunscreen feeling. The Coola Cucumber SPF 30 Mineral Matte Face Lotion just feels like light moisturizer and blends right without making your face breakout or feel at all greasy! I put both of these on every morning right after I get out of the shower, even before I get dressed. I do this because A) it's a whole lot easier to put sunscreen on all over, B) you don't have to worry about forgetting any spots, and C) the sun can still get to your skin through your clothes or bathing suit. Next up, another brand that I discovered via Birchbox, Supergoop!! My Supergoop CC Cream is probably the one item of makeup that I could not go without. I have red, splotchy skin on my face so this stuff is great to even out my skin tone. It is SPF 35 so it's another layer of sunscreen, gives the perfect coverage and is "self tinting" so it blends really well with the color of your skin. I also love this Supergoop Eye Cream with SPF 37 because I feel like the under the eye skin gets neglected when it comes to sunscreen and it's also the first place that shows aging so it needs some extra protection! I felt a little bit crazy when I bought this huge 18oz. container of Supergoop but considering how much I use, I think it makes sense... This product is actually my least favorite just because it seems kind of watered down and doesn't have the most pleasant smell, though that goes away quickly. Even with that being said, it's still great stuff and sits on my bathroom counter where I use it all the time (like I said, I slather up right out of the shower!) My newest Supergoop product is the SPF30 Lip Balm that I keep in my beach bag. It is so moisturizing and now I never forget to use sunscreen on my lips! I keep some cheaper Coppertone in my sunscreen bag and I can share with everyone and anyone in need of some sun protection! It has been really convenient to keep all of these sunscreens together in a bag because I can throw it in my beach bag (my Hayden Reis ditty tote!) whenever I need it and always know where to find it. I received this sunscreen zip bag as a gift with purchase last summer but I love this bag or this Hayden Reis Sunscreen Pouch! 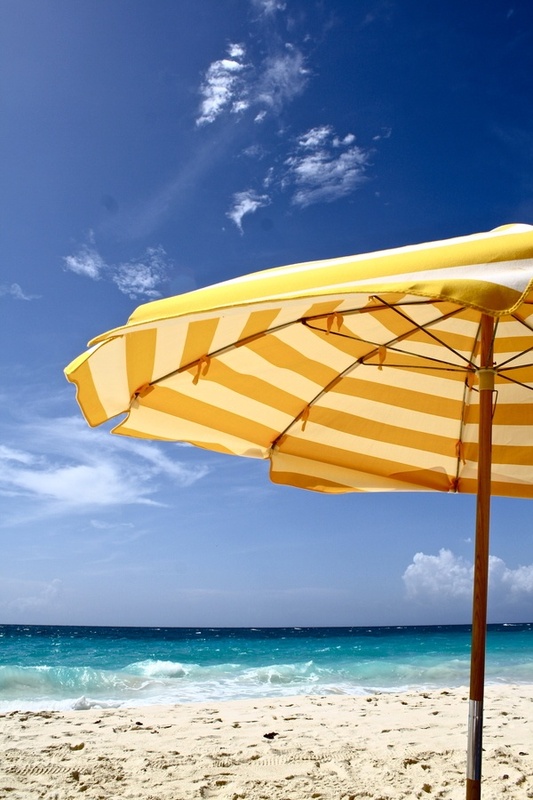 Now go find a shady spot on the beach, lather up the sunscreen and enjoy! I'll be sharing some of my "sun secrets" tomorrow so stay tuned, but in the meantime you can read about more sunscreens and how to be sun savvy on Alison's blog, Long Distance Loving! 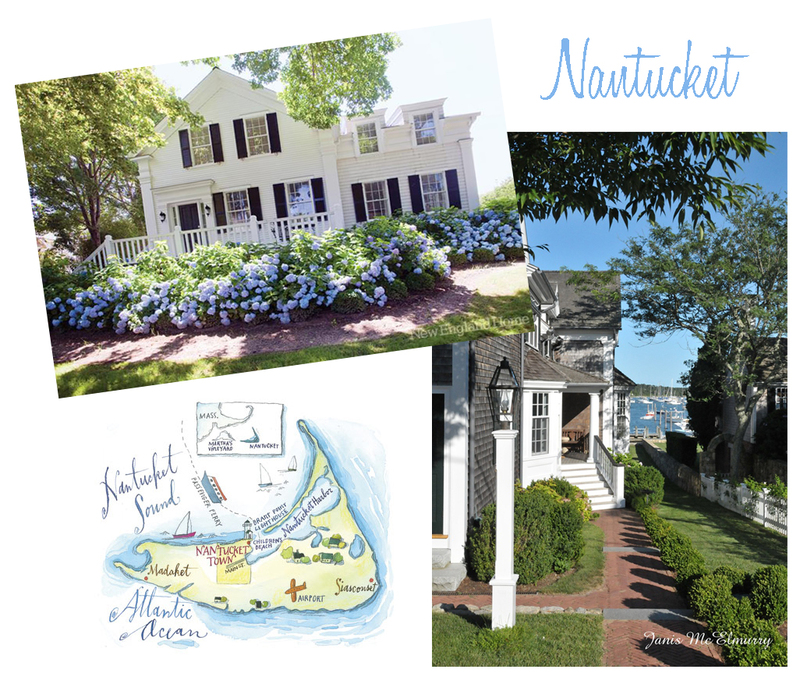 Have you traveled to Nantucket or Nashville before? What was one of your favorite things about the trip- I'd love to hear any and all suggestions! It's no surprise that I love a good monogram and Moon and Lola is my go-to store (their shop on King Street is so cute and the girls are the sweetest!) for monogram accessories! I was recently selected as one of their May winners for their #moonandlola contest on Instagram and wanted to share with y'all some of my favorite pieces from them. 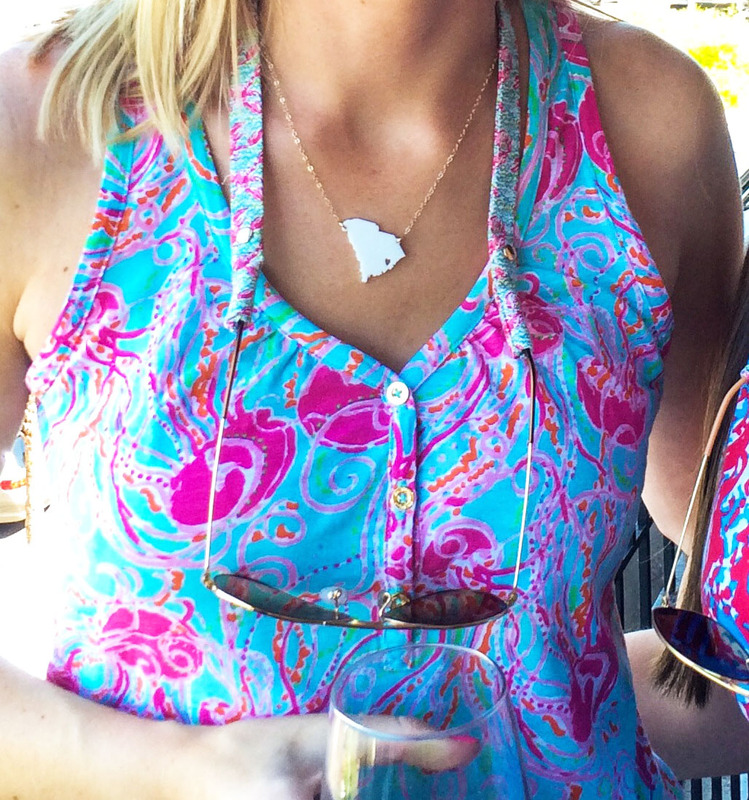 My navy acrylic two-letter block monogram necklace is a jewelry staple since I wear so much navy all year round! It's the mini sized monogram and I love that I can wear it alone, or layer it with another necklace. They have so many great color and size options that you can choose from too! Another Moon and Lola favorite of mine, though it's not actually a monogram, is a piece from their state necklace collection. In their King Street store, they have a bunch of these South Carolina necklaces with a small heart in Charleston. 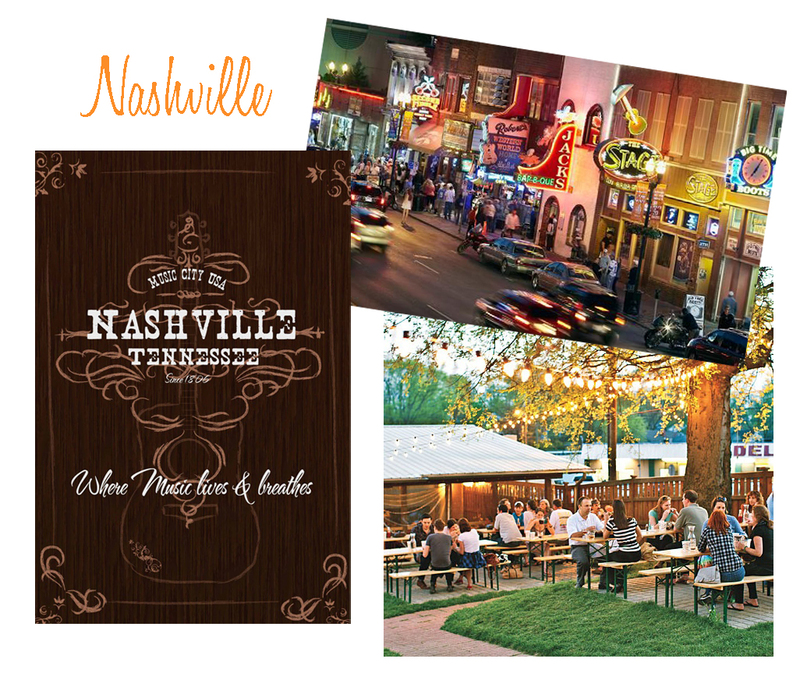 If you're looking for a different city or state though, they can easily customize it just for you! 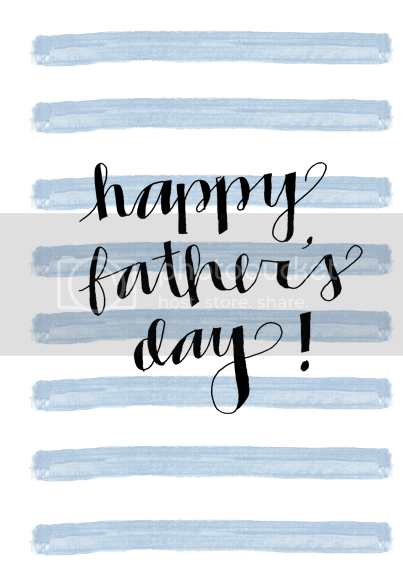 Happy Father's Day to an awesome dad! I'm so lucky to have you as my father and to teach me so much- the importance of a good breakfast in order to have a good day, that two wrongs don't make a right, to always save room for dessert, how to be a successful entrepreneur (still trying to work on that one!) and most importantly the value of patience and generosity. 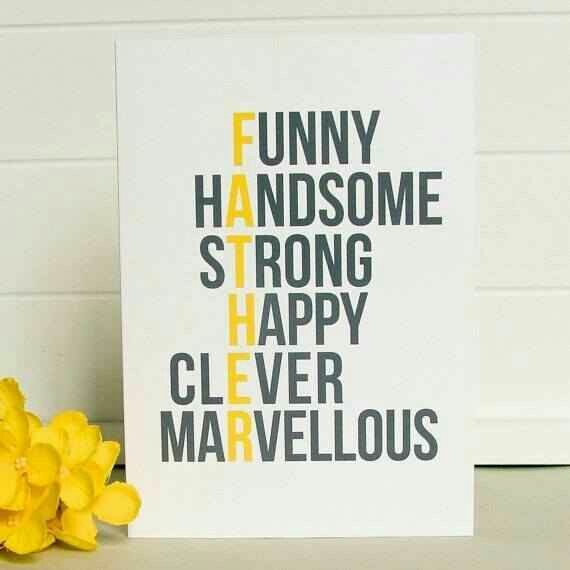 Love you Dad! This thing is a game changer! And just in time for an Orange is the New Black marathon... I also love to just set my Pandora on my favorite summertime station (Jimmy Buffet + Zac Brown Band OR Carolina Beach Music) for a Heather-version of a stereo system. I had been thinking of getting an Apple TV for a few months and am so glad I didn't end up buying it. Y'all Chromecast is only $35! It plugs into an HDMI cord and just needs a power source to work, so far no issues! 3. Pictures that will change the way you see the world. Red, white and blue are some of my favorite colors to wear all year round, but of course for 4th of July- they come out in full force! I've already added some shorts to my wardrobe to wear for the 4th but I have been loving all these new Vineyard Vines items! 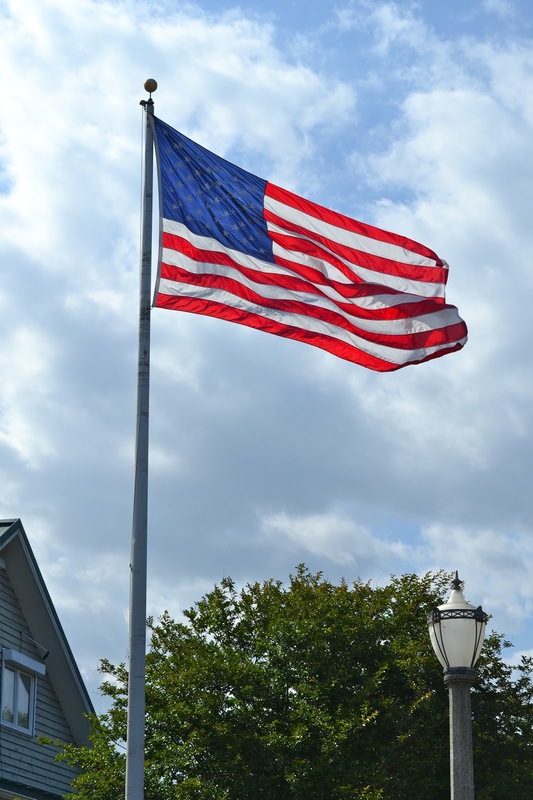 I am trying to use some self control but I am so tempted to pick up something patriotic! What are you favorites?! 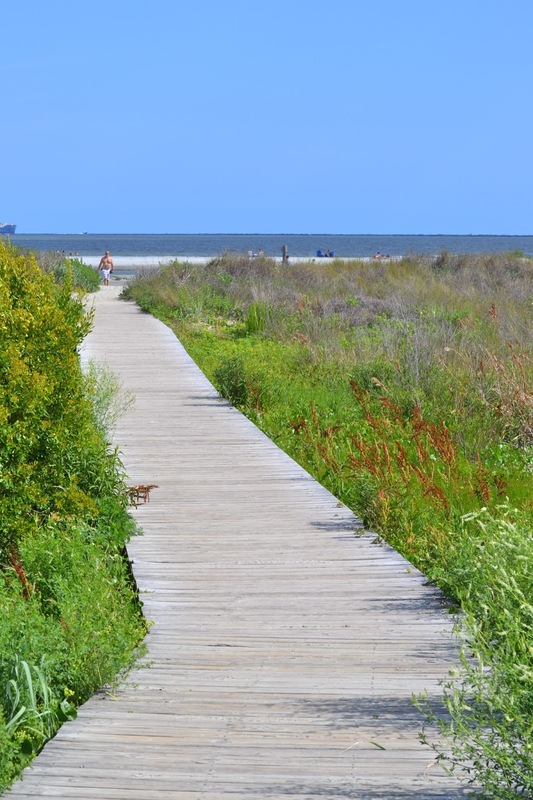 Today's Charleston Charm post features one of my favorite beaches in the Charleston area, Sullivan's Island! It's the closest beach to where I live and I love the relaxed culture as well as the great restaurants and beachy atmosphere. 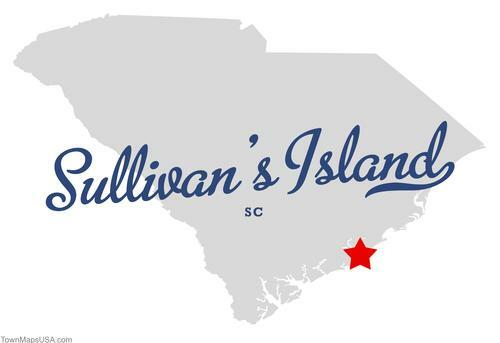 Poe's Tavern is definitely a highlight of Sullivan's Island and honestly the only restaurant I've been to on the island. We've never had a reason to go anywhere else because they have great burgers (or chicken sandwiches if you're like me and don't eat burgers!) and is always a fun place to bring friends. I have never been to this Home Team BBQ before but I know they're famous for their frozen "Gamechanger" drinks, which resemble a more well known drink, the Painkiller. I always am open to trying out new BBQ places so I'm hoping to check this out soon this summer! 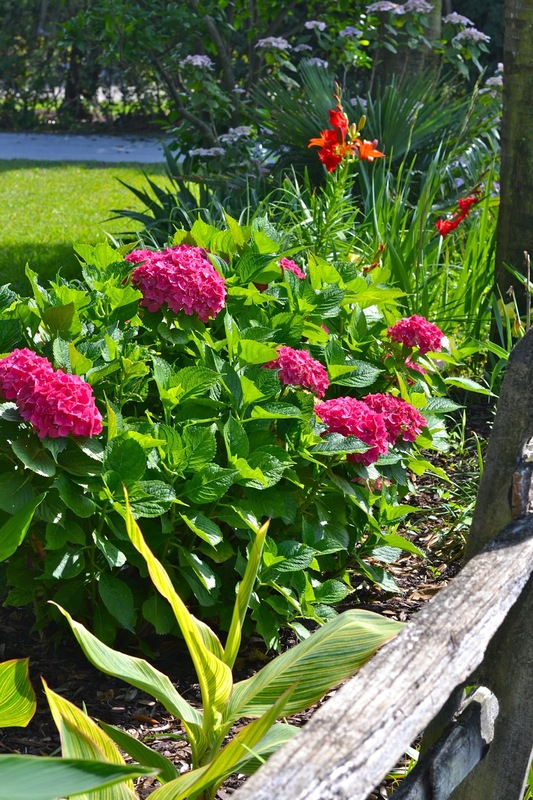 These pretty blooms were in the front yard of a gorgeous beach-front house! After going through these pictures, I'm really hoping to get back to the beach soon! 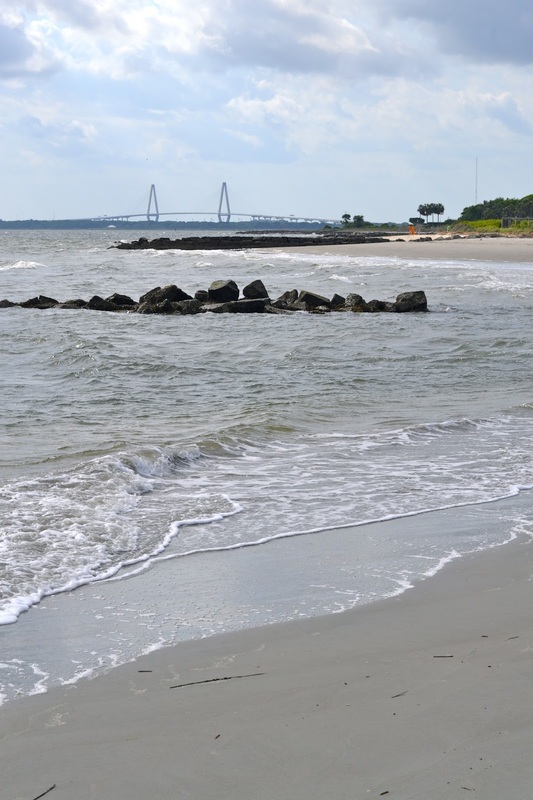 Do you have a favorite Charleston area beach?